I have a little over a week left at work before maternity leave kicks in and I'm feeling a bit anxious / nervous / excited / and a whole lot more I can't explain. It's crazy how time flies by when you're looking forward to something - especially a baby! I adore that blazer, and how you paired it with the boyfriend jeans. You look gorgeous! Such a beautiful blazer. You look great. the perfect weekend outfit! Love those sandals! Very nice! I love all stuffs that you're wearing. 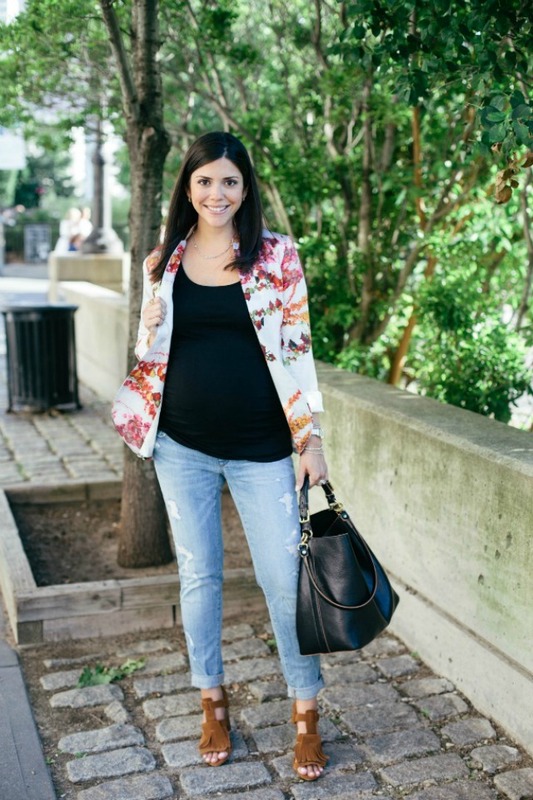 I love the floral blazer and i'm going to buy one for my girl. The outfit's simple but elegant and stylish.